What is Pica Eating Disorder? Do You Suffer From Compulsive Eating? What are the Main Causes of Bulimia Nervosa? How is Pica Eating Disorder Treated? Night eating syndrome can be a serious problem that has a number of repercussions to your health. Because this eating disorder occurs in the middle of the night, it can disrupt your sleep causing sleep deprivation. In addition to this, it is also common for those who are suffering from this gain weight through the years because the body fails to burn the calories. 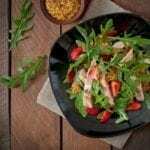 So what can be the best night eating syndrome treatment? The reality is that there are different approaches that you can take if you are dealing with night eating disorder. It is possible that you can also combine these approaches. It is important that the person who is suffering from night eating disorder is actually aware of his condition. A lot of people suffering from this disorder simply think that the habit that they are actually doing is normal when in reality, it isn’t. In addition to this, the person who is suffering from this condition should be open to the possibility of talking to a medical professional. Typically, a psychologists or psychiatrist is the one who can diagnose and help an individual. In order to cure this disorder, it is important to involve the family members. Make sure that everyone understands the repercussions of night eating disorder. By having everyone involved, family members can do their part in helping the person suffering from this condition. For instance, family members can help get rid of unhealthy foods that can cause cravings. Having your very own food diary(1) can help track down your progress. You will be able to notice the times you are eating. In addition to this, a food diary can also have notes to what triggered the cravings. Were you stressed when you suddenly had the urge to wake up in the middle of the night and eat food found in the fridge? By doing regular exercise, it is possible to not only burn calories but to also help the body to get tired. This way, you will just feel exhausted and you will just sleep at night. This has been proven effective in reducing the times that people wake up in the middle of the night thinking about food. After working out, it is also a good idea to take protein supplements. Protein supplements containing branched-chain amino acids can help the body to fight cravings. In addition to this, it can also help the body recover especially after a workout. If you are getting out of bed in the middle of the night just to eat, there is a possibility that you are suffering from this condition. It is a must that you receive a nutritional assessment from health professionals considering that you are at risk of becoming overweight when you have this kind of habit. Seeking professional help for night eating syndrome treatment is the best move that you can make if you are looking to cure your condition. Unfortunately, there are instances when you will also have to combine different medical approaches to get the best results. Looking for more Eating Disorder Treatments? Visit Here to Learn More. Our mission is to provide the best help, support and guidance for anorexia, binge, bulimia nervosa, compulsive eating disorders. Find the best eating disorder treatments and many options available within our helpful articles. 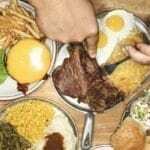 What Triggers Binge Eating Disorder? 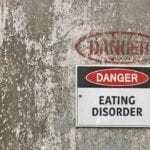 What are the Current Pica Eating Disorder Statistics? Our mission is to provide the best help, support and guidance for anorexia, binging, bulimia nervosa, compulsive eating disorders. Find the best eating disorder treatments and many options available within our helpful articles at Quit My Eating Disorder. Medical Advice Disclaimer: The information on this website is intended for informational purposes only. The articles information is intended for general consumer understanding and education and not as a substitute for medical or psychological advice, diagnosis or treatment.